Miniature drones are becoming very popular, and one of the first successful miniature drone designs was The Pocket Drone. A remarkable Kickstarter campaign for this project raised almost $1M, while the original goal was mere $35K. Another innovative miniature drone design is the Nixie, which you can’t quite put in your pocket, but you can wear as a bracelet, and it is the first wearable drone to be unveiled. 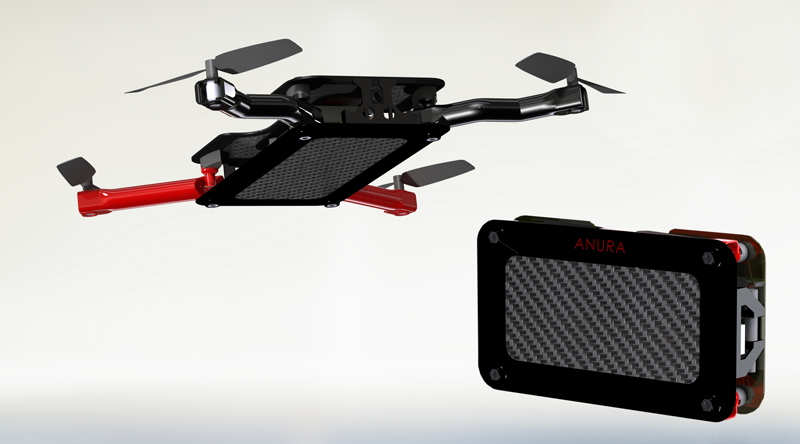 The Anura – a foldable pocket drone – is the latest competitor in the miniature drone arena. Anura is the brainchild of Jason Lam, a former San Francisco photography student and New York fashion photographer, and his San Francisco-based AeriCam company. AeriCam is an established name in the aerial filming equipment market. Their products are steady, powerful flying machines capable of carrying state-of-the-art camera equipment with multi-functioning camera mounts able to pan, tilt and roll 360 degrees – the perfect machines to capture the soaring aesthetics of aerial photography (the epic Ken Block’s Gymkhana Five video, filmed in 2012, was filmed using AeriCam equipment). Dronologista: Jason, how did you get interested in drones in the first place? Jason: I got into remote helicopters in 2007 and started putting cell phones and cameras on them for fun. Was really addicting, and I started aerial photography service (SkyShutter). But at the time, there were not many options for aerial photography platforms that I liked. I started designing my own flying camera system and revealed my first design at the Jarvis Center in fall of 2009 in the Photo Expo. That’s the beginning of my design career. Dronologista: How did you come up with the idea for the pocket drone? Jason: The idea came about when the San Francisco Giants were celebrating their 2012 Championship and I had a hard time seeing what was going on with the parade – the idea of a pocket size drone made perfect sense. Dronologista: Have you been working on it alone, or it was a team effort? Jason: I worked with couple of key people to bring this project to life: Frank Sommer, who helped in research and development, and integration of new technologies; and James Zheng, who has an aerospace engineering background, helped in designing the model, and preparing for production. 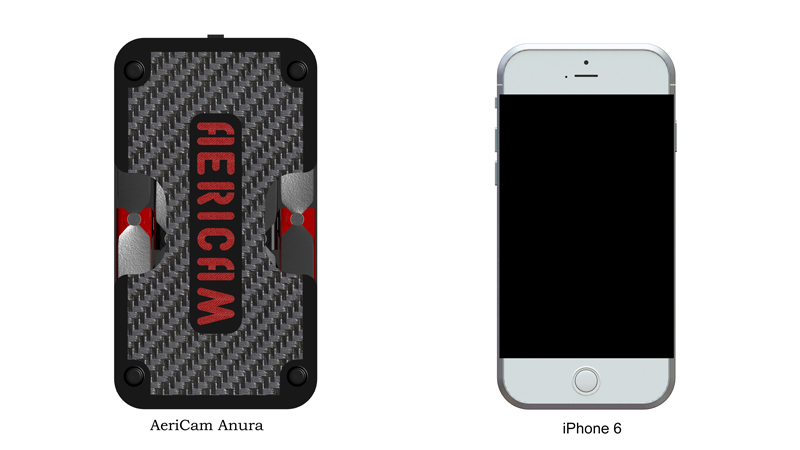 Dronologista: When will you launch the Kickstarter campaign, and what will be the goal? Jason: We are aiming for October 15th 2014. We need a minimum of 500 backers ($100,000) to put Anura into production. Dronologista: What perks will you be offering to backers? Jason: A ready-to-fly Anura Pocket Copter. We will also have an Radio Control option for people seeking the traditional feel of flying. Dronologista: What are technical specs of the Anura? Jason: 5.3″ Length, 2.9″ width when folded up. Takeoff weight is around 115 grams. 1 cell lithium polymer, flight time is around 10 mins. Will implement auto takeoff, auto land, follow phone and return home as foreseen stretch goals. The smartphone app is available for both Android and iOS. Anura is roughly the size of an iPhone 6, but it can fly repeatedly. iPhone can also fly, but only once. Dronologista: What are potential problems, or are there unresolved issues that could compromise the project (e.g. could the FAA ban on drones could be an issue)? Jason: This would be deemed as a toy, given the size and weight. It’s meant to inspire and give the ability to own and fly an aircraft to the masses. I don’t expect the FAA will have any trouble with it. Shipping will prove to be the biggest obstacle, and is very expensive and time-consuming. It’s an easily overlooked obstacle. We learned that from our last Kickstarter project, AeriCam Hollywood Gimbal, and have already started looking into services that help mail out large volumes of products. We are partnering with a manufacturer that specialized in drones this time around to reduce production time and streamline efficiency. There will always be roadblocks and we are more prepared this time. As Lam pointed out, AeriCam has already had a successful Kicstarter project (the AeriCam Hollywood Gimbal), and they are quite familiar with all nuts and bolts of a building a winning fundraising campaign. And the Anura looks like something that a lot of people would like to carry around in their pockets, especially if the stretch goals such as “follow phone” and “return home” are featured. Ingredients for a successful Kickstarter mission are here. The moment of truth will happen on October 15th when the campaign starts. Dronologista wishes best of luck to Lam, AeriCam and Anura. Images and videos courtesy of AeriCam.